Doing a little casual translation may be not difficult, but, if you want to engage in professional translation services, you need to have the following key qualifications: an expertise in source and target languages, some basic knowledge of the specific branch of science your translation centers on, and much discipline in translation practice. you can know very well how the text shall be conveyed and organized and what kinds of words and phrases you shall choose to use in the target language. To make it short, high proficiency in at least two languages is a must foundation for good performance in professional translation services. Apart from an expertise in the source and target languages, for those translators delivering professional translation services to the clients, a basic knowledge of the scientific field the text to be translated is categorized into is a must. Usually, a language can be grouped into different genres according to the content and purposes of the text. For instance, English can be classified into news English, English for science and technology, English used in drama, English used in daily life, etc. As for English for science and technology, they may involve the knowledge of different branches of scientific learning, such as physics, medicine, computer science, architecture, electronics, telecommunications, law, and so on. If you have to put theories or scientific procedures of a specific branch of science to paper, you need to resort to the specific language domain where the words and phrases are at, which may contain technological terms that you might have never seen before if you are unfamiliar with such a branch of learning. Therefore, professional translation services require that the translators be equipped with some knowledge of the scientific field to which the translated text belongs. The last requirement for providing professional translation services is discipline. If you want to translate a book from one language to another, it means a lot of commitment, which demands effort necessary for fighting a war. Such a task will become a torture for those who are not prepared beforehand. If the book consists of 100,000 words, suppose you can translate 5000 words on average per day, you need to work continuously for twenty days. 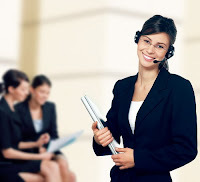 For those who don't have much experience in professional translation services, they may work very hard during the first few days, engaging a lot of time and efforts, and then they have to rest for a day or two because they feel exhausted, but when the due time is round the corner, they might find that it would be impossible for them to fulfill the tasks. Even some green hand translators are reluctant to do the job for the first few days, imagining that they can accomplish the work in an efficient manner by just using the rest of the days. In fact, magic will never occur. Experienced professional translators will always make an advance estimation of the average amount of the words that they can translate each day, calculate their time in taking care of their family routines under those circumstances, make a schedule of the translation task, and then try to carry out their plans day by day. In professional translation services, it's not just the translator's will to timely accomplish the assigned translation tasks, but is concerned with the fact that whether the translator can strictly observe the discipline and keep doing translation on a regular day to day basis. To sum up, engaging in professional translation services is not as easy as it seems to be. But to be precise, to master the languages with maximum efforts, to accumulate some professional knowledge by learning some specific branches that your translation work mainly focuses upon and related to, and to develop a good, disciplinary habit in doing translation is very important and helpful to your work in the process of providing your clients with high-quality professional translation services.